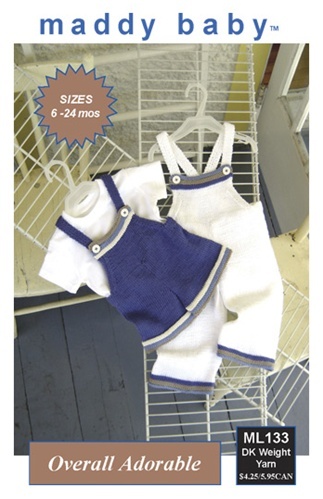 Knit these cute-as-a-button overalls in short or long pants style. Straps crisscross at the back and button down the front bib. Four sizes, 6mos, 12mos, 18mos, 24 mos. Written for DK yarn--perfect for Super 10!